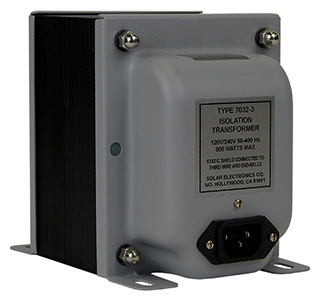 There are times when it is necessary to step up the power line voltages from 115 V to 230 V. This transformer is equipped with a male connector on the 115 V winding and a female connector on the 230 V winding. The connectors are the international style IEC-320/CEE 22. Mating plugs not supplied. Rated at 800 W, 50-60 Hz.